Is there any reason to upgrade a dish that works well? Think a second… when did you put that dish up on the roof? Was it last year? The year before that? Longer? Think for a second, who was President at the time? Both DIRECTV and DISH have had very stable product selections for the last several years, meaning that dish on your roof could be five or more years old. It’s been up there in the sun, in the rain, in the snow, giving you good service year after year and asking nothing but a bit of electricity now and again. So is it time to upgrade? We’re not suggesting that you go up on the roof and tear off a perfectly good dish. But is that dish really perfectly good? Are you starting to see some rust on the reflector? What about the connections and weather boots? Are they really as good as they used to be? Take a special look at the LNB (the front part.) That’s where the sensitive electronics are and they could be getting a little flaky if you’re starting to see some cracks in the plastic where dust and water could get in. The good news here is that you don’t have to replace the whole dish if you don’t need to. If you want, you can replace just the LNB, or just the reflector, or whatever needs to be replaced. We have a full selection of replacement parts available. 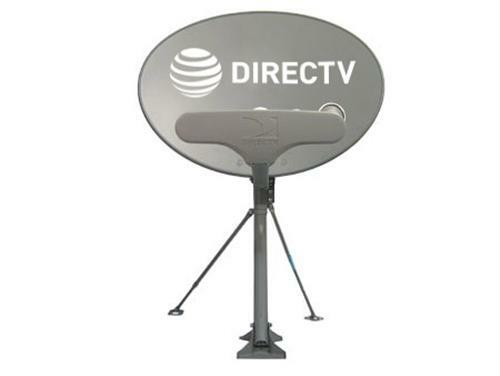 You may even find that putting a dish up has gotten easier… the new generation parts from DIRECTV and DISH are designed for strength as well as easy installation. If you’re replacing just part of the dish assembly, be sure to mark the position of all the adjustment screws with a pencil so you’ll know you’re not moving the dish accidentally. While you have the whole thing apart, take a good look at the connectors and make sure that they’re free of oxidation. When putting everything back, make sure you do nice drip loops, too. They’re important.